To fundamentally change the way charitable giving is done in the United States. Depending on your financial situation, G.I.V.E. may save you taxes on capital gains and can potentially make a portion or all of your retirement plans tax free. It is better to GIVE ... and receive. Please note, changes in tax laws may occur at any time and could have a substantial impact upon each person’s situation. The information presented here does not constitute legal, tax or investment advice. You should discuss these matters with the appropriate professional. Anyone TRULY can GIVE. Our Mission is to redirect ONE BILLION Dollars to charity. Can I use GIVE with any charity? 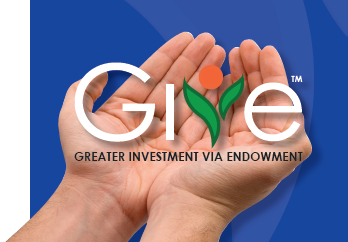 The GIVE Alliance is all about securing your retirement and protecting your estate for your heirs — all while helping others through your favorite charities. Eager to learn how you may be able to increase your liability protection and potentially save or even eliminate capital gains and other taxes? Interested in finding out more about the GIVE Alliance? Contact us today and we’ll begin with a brief questionnaire to determine whether you are a candidate who may benefit from the GIVE suite of financial strategies. After a brief review of your present financial position, we’ll be able to identify strategies which benefit you best — whether it’s through the GIVE Alliance, or another of the many financial strategies offered by Compass Financial Group. Once you decide that you are a good candidate who can benefit from working with the GIVE Alliance, that’s it! The GIVE strategies can be implemented as a turn-key solution. Simply put, we handle everything that needs to be done for you! We’ve carefully assemble all the components through an exhaustive 56-point checklist designed to ensure that you’re covered every step of the way as we implement the GIVE strategies for you. Trust and reliability is everything, which is why Compass Financial Group has pre-screened a team of skilled estate planning attorneys, accountants and trustees renowned for their insight, expertise and reasonable fees. But, since this is your money and your future — we like to remain flexible. Already have professionals you use and trust? They’re welcome to work with our team, because the GIVE Alliance and suite of financial strategies is designed for you.